I'm a huge fan of dioramas. I love those 3-D illustrations in the Hans Christian Andersen Golden Books with the lenticular covers. Recently I received a letter from artist Claudia Marie Lenart about her latest book written by Jewel Kats and released to coincide with Down Syndrome Awareness Month. 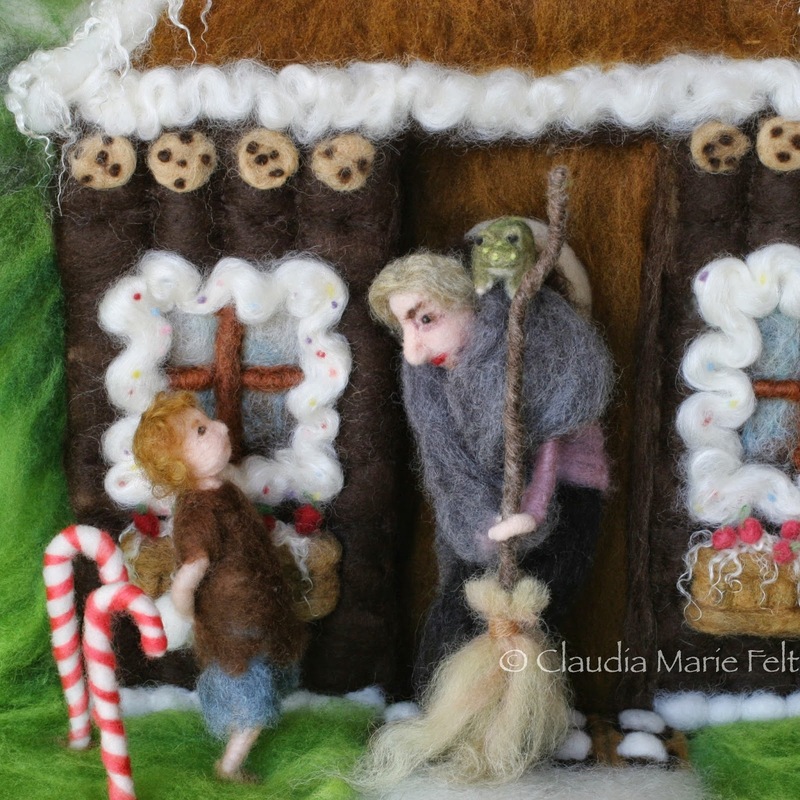 Claudia's felt sculpture just blew me away. Below are a couple of her illustrations. 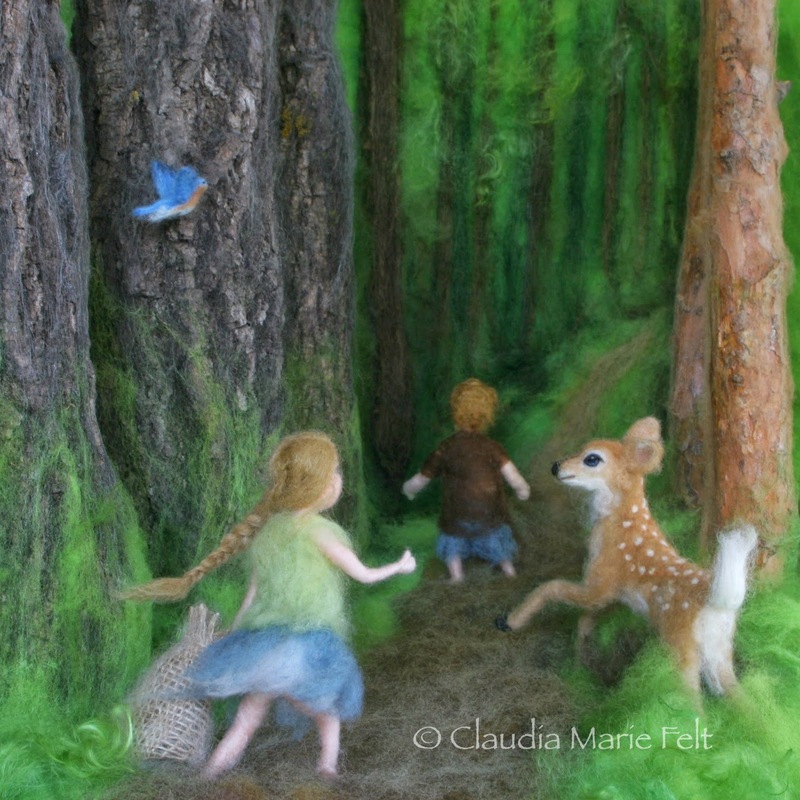 Claudia also has an Etsy page full of enchanting felt animals.